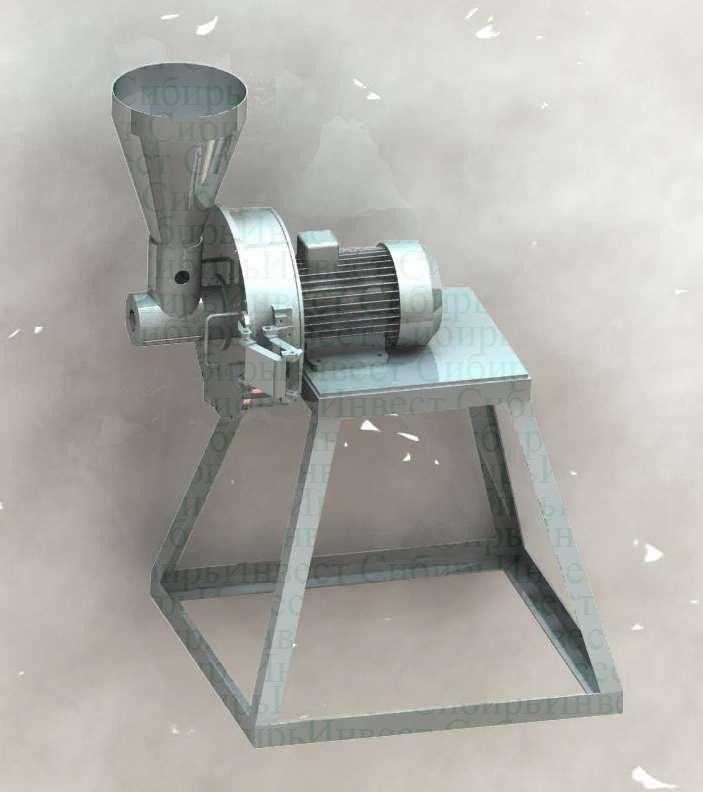 The rotary-sieve mill MRS is intended for comminution of rubber, wood waste and other materials. For effective process of crushing in mill MRS used new principle, based on creation of set intensity shift forces in volume of the crushed material. As a result of influence on raw materials of pressure and shift deformations volume self-crushing of a material that causes high profitability of process is realized and provides a narrow range of crushing products fractional structure. The mill allows crushing viscoplastic materials in a wide range 10 - 500 micron, depending on the established sieve on shell ring. The sieve is made by laser sharp with cross-section or longitudinal cells. The arrangement and the size of cells depend on processed raw materials taking into account wishes of Customers. In the table technical characteristics of lineup MRS are resulted.